Capacity licensing shifts the burden of licensing from “machines by processor or core” to a simple calculation of how many terabytes (TBs) of data are managed within the primary storage pools and repositories of the STORServer Appliance. For customers running a small number processors in their environment but produce a large number of TB under backup and archive management, the PVU or Core licensing choices might make the most sense. For customers with large numbers of machines and processors with other assorted licensing requirements (SAN and ERP, for example), capacity licensing can provide a significant savings. Capacity licensing offers simplified calculations using a per-terabyte (TB) metric. 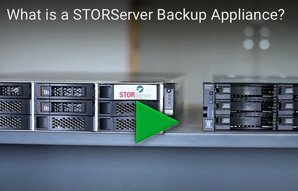 With it, you can install as many STORServer products as needed for your environment. There is no per-server, per-installation or processor value unit (PVU) charge. You are only charged for the amount of TBs that are stored in primary storage pools and repositories of the STORServer Appliance. When buying licenses by machine cores or processors, the throttle toward savings is to limit the number of cores that require backup. There might be cost adjustments by using larger machines with more powerful cores to handle larger amounts of data; thereby, limiting the number of cores needing backup licenses. As virtual machines are introduced, however, a fixed number of virtual machine cores will need to be counted numerous times for each virtual machine requiring backups. Sub-capacity licensing allows you to limit core counts to the number of actual cores assigned to each VM, but you still may see an increase in the number of licenses needed. STORServer provides a unique agent to more easily backup virtual machines, but these agents do have an individual cost under machine-based licensing. When paying by the Terabyte under backup or archive management, capacity license pricing can be modified by adjusting the versions and other policies to shrink the eventual TB amount. TB based licensing provides for savings through the use of Deduplication technology which can also shrink the amount of TBs in the backup and archive storage pools. The decision should be based upon a comparison between machine- and TB-based licensing and should consider the unique business requirements of each IT operation. IBM Tivoli Storage Manager FastBack for Bare Machine Recovery: Efficiently Restore a Windows or Linux Server to new hardware. STORServer, Inc. VMB (Virtual Machine Backup) agent for VMware: Controls backups of VMware virtual environments through an easy to use graphical interface.